JC's Pie Pops have always caught my eye in the freezer section of my local Shop Rite. They look delicious, even on the box! I'm also happy to say that you will find organic ingredients, no GMO's, and no artificial hormones (also known as rBGH) in JC's pops. They're not exactly ice cream, but don't let that dissuade you from trying them. They are kind of like a frozen panna cotta (italian custard) with a crunchy outer coating. They come in a variety of 'pie' flavors, like strawberry cream (my favorite), banana cream, s'mores, key lime, and caramel apple crumble (just to name a few). The pops are huge, and honestly, you can even cut them into pieces to enjoy a little at a time. JC's was kind enough to give me a whole pop to sample at The Summer Fancy Food Show, and I was so excited, I squealed out loud! As I walked around the show eating the pop, people actually stopped me to ask me what it was and where I got it. I assured everyone I met that it tasted as good as it looked, too. JC's sells a variety of other frozen treats, including 'nudie' pops (with no crunchy coating) and pie bites. My local Shop Rite and Fresh Market each carried JC's, but you can use their store locator online to find them near you (or take their product request form to your nearest supermarket and demand some action!). JC's strawberry cream pie pop. I know, right?? JC's Pie Pop interior view. Om nom nom! Graeter's is another brand of ice cream that I used to see in my local Kings. Their flavors looked good but I never bothered to pick up the container and read the ingredients until, well, now. I'm so glad I did! Graeter's is a family run business (their family has been in the ice cream business for 145 years!) and uses a french pot process for their ice cream (which you can read about here). I loved their simple ingredients and their flavor choices (and most of them contain delicious chocolate chunks). When I was a kid I used to get amazing black raspberry ice cream from our beloved O'Dowd's Dairy (which no longer exists). Graeter's Black Raspberry Chocolate Chip is as close as I've come to the original flavor of my childhood! Graeter's contains all-natural, fresh ingredients. You can find them at most Kings stores in New Jersey, as well as Fresh Market. Use their store locator online to find them near you. If you're outside of New Jersey, you might be able to find an actual Graeter's ice cream shop (lucky you! ), especially throughout Ohio. If all else fails, you can order Graeter's ice cream directly from their site! Do you like how I captured the reflection in the spoon? I totally wasn't even trying! 'We believe in life, liberty and the pursuit of amazing ice cream...' states the Three Twins Ice Cream website. Well, what a coincidence! So do I! Besides the taste of this adorable and yummy ice cream, I am thrilled that they are organic and that there are, like, six ingredients to their madagascar vanilla, all of which I can read and understand. I mean, isn't that how it should be? 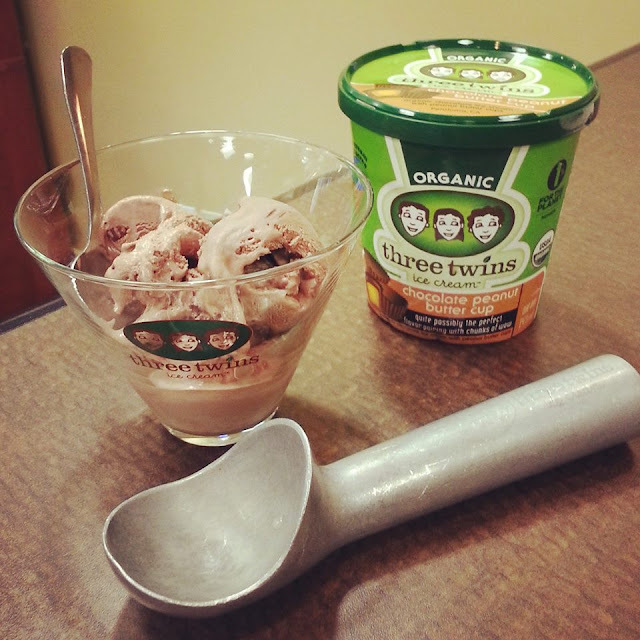 Available in quart size, pint size and singles, Three Twins offers up some cool flavors (like their land of milk and honey and mexican chocolate) and even has small scoop shops throughout California. Here in New Jersey, you can find them in most Kings supermarkets. I love their line of packaged sundae cones and ice cream sandwiches, too (sea salted caramel ice cream sandwich? Yes! ), and I have my fingers crossed that maybe they will show up in our local Costco very soon (this is just a rumor, but a girl can hope!). Okay, now I'm thinking outside the box as far as ice cream goes. But MyMo Mochi Ice Cream is fun if you're looking to try something different or you want to serve a unique dessert at a party. You might remember me talking about mochi ice cream in my article about Yo!Sushi in Short Hills. Mochi ice cream fits in the palm of your hand, and it basically consists of a soft rice dough exterior and a delicious ice cream interior. You can read all about it here. I was a little nervous to try it at The Fancy Food Show, but it was really delicious! I tried the vanilla bean flavor and it was soooo good! You can find MyMo Mochi Ice Cream at some Trader Joe's and Whole Foods locations. Use their store locator to find one near you. My Mo Mochi Ice Cream - give it a try! It's tough to find Brio right now in the fine state of New Jersey, but I am hoping they'll be popping up in local stores soon. Shout out to Basil Bandwagon in Flemington, because they seem to carry a lot of the healthy new brands I experienced at the Summer Fancy Food Show, including Brio. So if you happen to be near their store, I suggest you stop by! Anyway, Brio is unique in that's it's toted as a 'good for you' ice cream. They've loaded it with healthy, organic ingredients, probiotics, nutrients, antioxidants and more. You can read all about it on their ingredient benefits page. They're also non-GMO and gluten free. I can attest that it tastes delicious, and I hope that you keep them on your radar in case they pop up in one of your local stores. Don't they have the cutest packaging, too? It seemed like everyone at The Fancy Food Show was carrying a shopping bag with Good Pop all over it. The bag actually caught my eye, so I made a point to find them in the show (which isn't easy, I swear, even with maps, that show is huge). When I got to their booth, they didn't have a bag for me (bummer!!!) 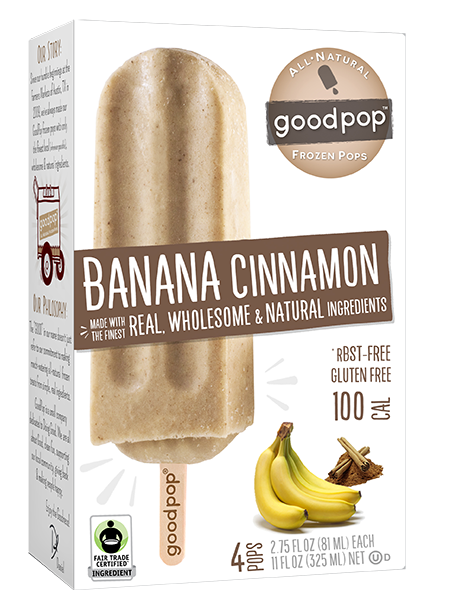 and they were totally out of their banana cinnamon flavored pop sample (which everyone said was amazing- hence its disappearance!) but I did get to try watermelon agave, which was nothing short of amazing, and chocolate milk, which was equally yummy. These were as close as I've tasted to homemade popsicles, and I was super-thrilled to see them in my local Kings. If you can't find them near you at all, you can also order them directly from their website! The Jersey Momma's Boy had to photo bomb my Good Pop shots! This one's strawberry lemonade. Photo property of Brewla Pops, from their Facebook page. So there ya have it. I tasted so many more amazing ice creams and frozen treats at The Summer Fancy Food Show, but many of them are not available in our state yet. If you feel so inclined, visit David's Famous Gourmet Custard, too. David himself was so kind, and his custard was delicious! To read more about my adventures at the Summer Fancy Food Show, check out my post for 9 Exciting Snacks to Liven Up Your Lunchbox! 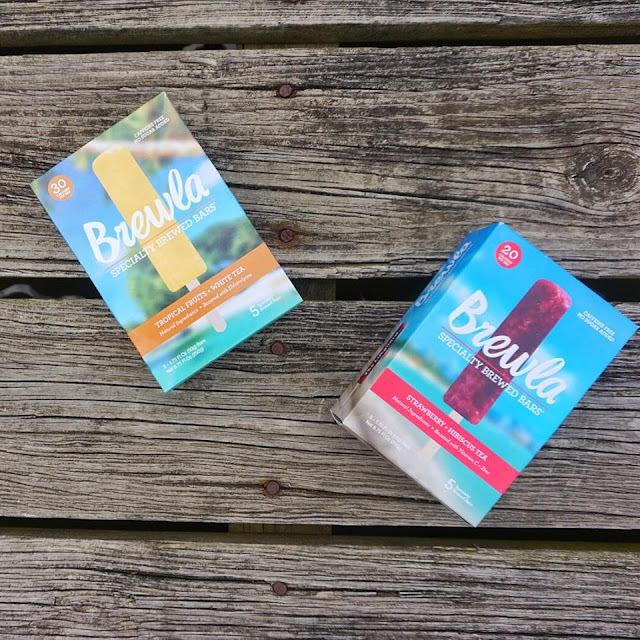 Sounds like you've tried some of the best frozen treats out there! Yum! I'll have to keep an eye out for these in the store. Oh man. We have family that lives near a Graeters. Every time we visit we have to make a stop. or two. ;-) These treats look delicious for hot summer days!